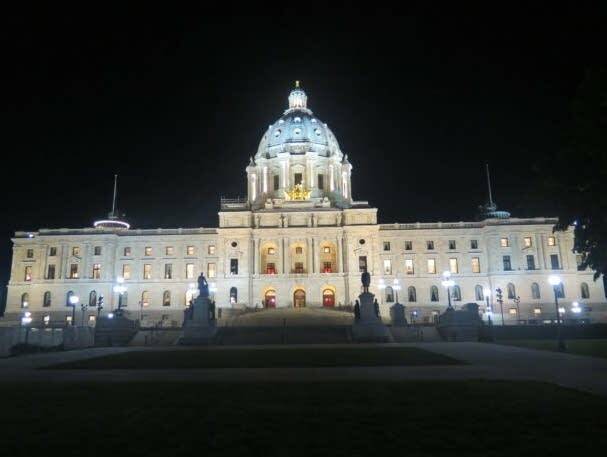 Members of the Minnesota House debated this week whether the state attorney general should be allowed to hire outside lawyers in cases in which those lawyers stand to collect a share of settlements. A budget bill passed by the House on Thursday includes a measure prohibiting the attorney general's office from contracting with outside firms on a contingency fee basis, with a few exceptions. Attorney General Lori Swanson's office used such a contract with an outside firm in the recent lawsuit against 3M over water contamination in the east metro. The firm received $125 million of the $850 million 3M agreed to pay the state. State Rep. Mike Freiberg, DFL-Golden Valley, unsuccessfully tried to amend the bill to remove the language. "This would be an unprecedented change around the country," he said. "I don't know of any other state that has such a strict restriction on contingency fees." Large contingency fees are rare, Freiberg said. They were used in two major cases in the past two decades — the settlement with tobacco companies in 1998 and the recent case against 3M. Freiberg said both were lawsuits that pitted the state against large corporations with almost unlimited resources. "There was extensive discovery, expert witnesses and court filings," he said. "This is exactly the type of litigation where you want the attorney general's office to have the necessary tools to protect the public interest." But Republican lawmakers said the $125 million in fees paid to the outside firm Covington & Burling in the 3M case was excessive. "That law firm earned $47,000 per day for seven years on that lawsuit," said Rep. Sarah Anderson, R-Plymouth. "They weren't an employee of the state. They weren't hired on an hourly fee, which is something the AG's office can already do. Instead, their payout was all based on a contingency fee arrangement. And if that doesn't concern you, it should." DFL legislators counter that such a large settlement would never had been reached in the 3M case without an outside law firm sharing in some of the work — and the risk that no settlement funds would be recovered. Rep. Freiberg said existing state law also places limits on when large contingency fees can be used. Any contract with fees over $1 million requires approval of the Legislative Coordinating Commission. The Senate budget bill does not include the language. It will likely be part of negotiations over a final bill.